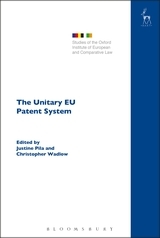 The purpose of this book is to explore the key substantive, methodological, and institutional issues raised by the proposed unitary EU patent system contained in EU Regulations 1257/2012 and 1260/2012 and the Unified Patent Court Agreement 2013. The originality of this work lies in its individual contributions and uniquely broad approach, taking six different (historical, constitutional, international, competition, institutional and forward-looking) perspectives on the proposed patent system. This means that the book offers a multi-authored and all round legal appraisal of the proposed unitary system from experts in patent law, EU constitutional law, private international law, and competition law, as well as leading figures from the worlds of legal practice, the bench, and the European Patent Office. 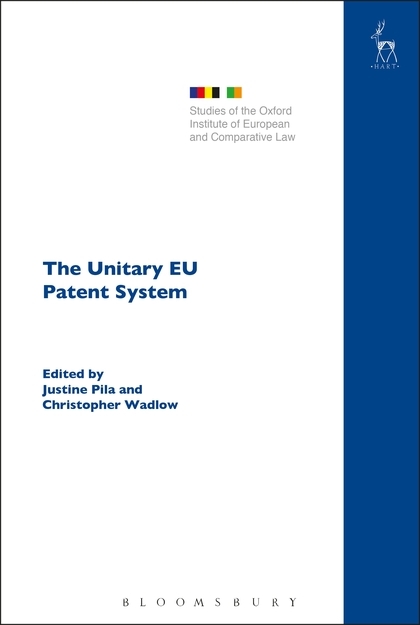 The unitary patent system raises issues of foundational importance in the fields of patent and intellectual property law, EU law and legal harmonization, which it is the purpose of the book to engage with. This is a work which will enjoy wide and enduring interest among academics, policy makers and decision makers/practitioners working in patent law, intellectual property law, legal harmonization, and EU law. Christopher Wadlow qualified as a solicitor in 1981 and practised with Simmons & Simmons in London until joining UEA Law School full time in 2004. He was appointed to a Chair in 2008.